We were contacted by the secretary of a rugby club. 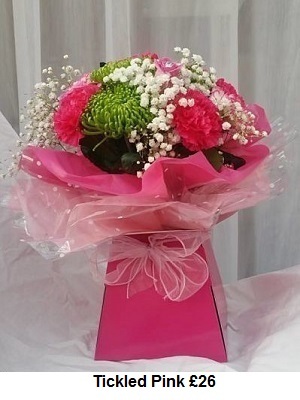 They were having a presentation evening and needed multiple presentation flowers for the parents who went above and beyond to help out in their own free time. 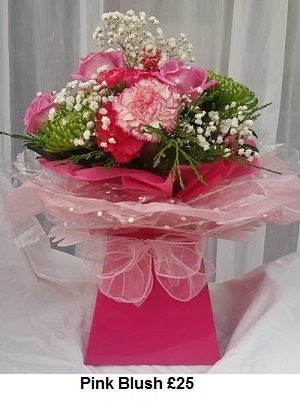 We made up multiple floral bouquets which were presented in an easy to carry box and were supplied in water for easy after care. They were tied with organza bows and finished off with glitter and diamante’s. Each bouquet was different and had its own unique flowers. 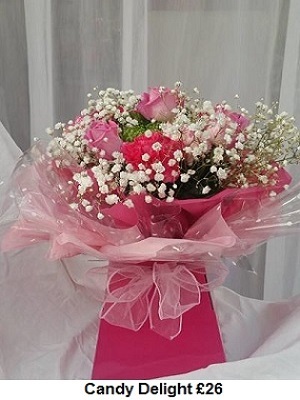 They contained pink roses, carnations, green chrysanthemums, gypsophela and greenery. Fresh flowers were bought on the day of the order to ensure they stayed fresh for the longest time possible. We also were able to give a discount for multiple purchases.